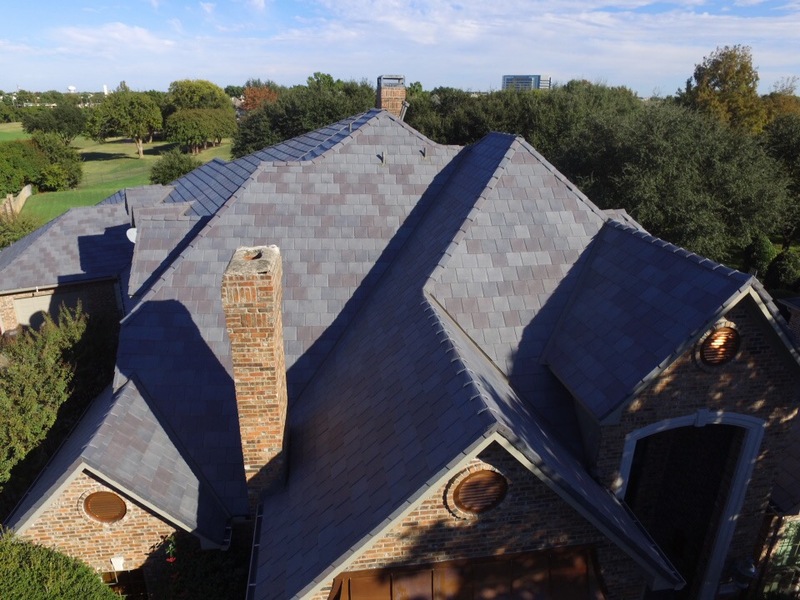 Many factors can affect your roof's durability and capability to do its job. And while some roofs are more durable than others, there are a few universal factors which can compromise their performance and even spring a roof leak. If you have a rook leak, chances are the cause is outlined below, but have no fear, SPC Construction and Roofing has your fix right in our name! From the cosmos (the sun) to things a little closer to home (wind and rain) to even the most grounded of nature (trees and their leaves), roofs have to deal with a lot. Luckily SPC Construction and Roofing is here to help get your roof back in tip top shape, so it can continue to do its job even better than before – see our tips on roof maintenance here. The same sun that melts the wax hardens the clay, and the same sun that gives us a great tan can also give us a wicked burn. This is true of your roof as well. Not literally of course, but your roof can get damaged by the sun just like you or me, especially if it's in a hot or high sun-exposure area, making a roof leak more common. The ultraviolet rays can deteriorate your roof and make it more susceptible to leaks, especially on west or south facing roof planes. So if your roof leak is on the south or west face of your home, and it isn't beneath a valley, tree, missing shingle or flashing, maybe it's as simple an answer as the sun! Because this is considered wear-and-tear, a roof leak from sun damage might be a hint that its time replace your existing roof, maybe with something that can easily handle that hot sun. Try a new, hearty metal roof! Now of course rain causing a roof leak seems quite intuitive, but your everyday rain alone cannot cause a leak (unless your roof has been installed in a faulty way). However in combination with wind that can lift and shift your shingles, allowing debris to sneak under and create a weak point for water to seep into, wind and rain can be the root of your roof leak problem. This could be as simple a fix as finding the guilty shingle and removing the debris or just replacing the shingle to its original position, or as complex as having to a whole area or re-pin down a large section. Have a specialist see what's going on up on your roof and make an individualized plan, as sometimes you can't know it until you see it. If it needs to be replaced, try a metal or tile roof, something impermeable. If you are blessed enough to live under mature trees, then you are lucky to have such a wonderful view and established neighborhood. But that always come with a price - the price of leaves in your yard every fall...and in your gutters, valleys, edges...everywhere! Falling branches can cause damage as well, as can still-attached branches that scratch or rub against your singles. Be sure you trim those limbs so they can't cause damage in case of a storm. If the culpable tree is merely shedding a multitude of leaves, then this fix could be as simple as patching the affected area and trimming the tree back consistently, however branch damage from falling limbs can be a large job if the branch is large as well. Check to see which is the cause of your roof leak. Keep your trees in prim and proper order to avoid this in the future, however, if you already have a roof leak from trees and leaves, remove the debris to see if the damage goes further and reassess after you have the whole story. If it's time to replace, maybe consider a eco or living roof and let nature protect you instead of damage you. Shingles have very important jobs, and all of those jobs stem from their first - which is to stay in place! But sometimes shingles, like all things, misbehave. If your shingles are missing in action, broken or cracked, this could be the cause of your roof leak. Like some of the above causes of roof leaks, this problem could be as simple as replacing the suffering shingles, but this could mean just a few, or many more! Replace the affected shingles and maybe consider switching to a more durable roof when the timing is right for you. Clay or tile roofs are gorgeous and stronger than traditional shingles. Flashing is around chimneys, skylights and pipes and shouldn't cause roof leaks, however faulty, mis-installed or damaged flashing can allow water to pass through. If these are breaking down, you'll need a specialist to tell you the reason. If this hasn’t happened yet, consider getting an annual roof inspection to make sure it stays intact! This requires a specialist both to fix and to determine how big of a fix it will be. Consider SPC Construction and Roofing as we offer free roof inspections and can get you in your roof's loop. Contact us today for your free roof inspection and beat that roof leak. A valley is just how it sound, it's a low point in your roof and can therefore gather debris which can sit and hold water. Standing water on your roof is always a problem and a common cause of roof leaks. If your valley's seals aren't properly installed and functioning, it can cause a very damp problem for you below. This has to be done by a professional as its under layers of your roof and can cause more damage the longer it goes unchecked. Your roofer may fix the roof leak by placing a new barrier in the valley and re-shingling over it, but the 'why' it failed in the first place may never be known. Make sure to never step in valleys when on a roof, as it is easy to crack, which makes it more susceptible to causing a roof leak. More Questions About Your Roof Leak? We Can Help! Do you have additional concerns, questions, or a roof leak not addressed above? Give SPC Construction and Roofing a call today to have your questions answered and your roof inspected for free! We're here to help with over 30 years of experience!